Born and raised in Rockland County, Dr. Paskowski completed an accelerated BS/MD program at Union College and Albany Medical College. While at Albany Medical College, he was elected into the national medical honor society of Alpha Omega Alpha and received the Robert Reineke Award in ophthalmology. His internship was completed at Winthrop University Hospital, where he was named by his peers and mentors ‘Most Outstanding First Year Resident.’ He completed his residency training in ophthalmology at the Mt. Sinai Medical Center in Manhattan. After completing his training, he was invited to remain on the full-time academic faculty at Mt. Sinai where he enjoyed teaching residents and medical students the art and science of comprehensive ophthalmology. He was awarded the ‘Teacher of the Year’ award in the department for 2000-2001. 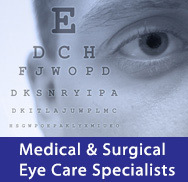 Dr. Paskowski left full-time academic medicine in 2001 to join Liebergall & Paskowski Eye Associates.